Growing up, we were all aware of the hugely popular and distinctly unique TV show called ‘Roadies’. While the show drew its fair share of retractors, it also attained a cult status among fans of the show. Historically, it marked the first instance of a successful reality show based in India. It is also remembered for bookmarking the transition of MTV from a purely music channel to a music-reality TV channel, which was also a global trend. One of the reasons why Roadies gained immense fame was due to the ever-present Rannvijay Singh, who was once the winning participant of the adventure reality show, and subsequently went on to host and judge the show. Throughout the show, he showed his determination and earnestness, and maintained an aggressive approach that was guided by principle. Over the years, Rannvijay has moved from television shows to modelling, acting in films, and more recently, he launched his signature line of clothing. 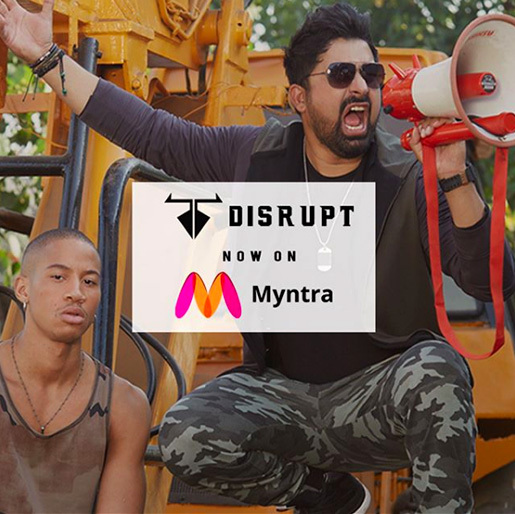 Launched with the help of Myntra, Rannvijay announced Disrupt, an adventurous clothing line for adrenaline junkies. Over the last few months, as was evident from his posts on social media platforms, he was designing this clothing line with his friend Shakeef Khan. The line is targeted toward customers who are free, wild-spirited, and original. Aimed at millennials, the brand has done well to keep in mind the dressing habits of the target demographic. Millennials have largely abandoned classic dressing norms of yesteryear, with a distinct preference of tees over formals, sandals over slippers, and shorts over jeans and trousers, and in general, the paradigm has shifted from showiness and conformity to comfort and functionality. It’s no debate that in the harshly temperate climate of India, comfort is the key to productivity. Hence, the rebellious line of clothing from Rannvijay and Myntra is sure to appeal to the younger generations since that is exactly what they are offering. With the conclusion latest edition of the End of Reason Sale, Myntra emerged successful and more than content with their performance. This was the 8th edition of the End of Reason Sale, and was held between 22nd and 25th June 2018. With discounts of 50 to 80% being offered, it was no surprise when customers from around the country were enticed by the sales event and went on a shopping spree like never before. However, this incredible campaign could only be pulled off thanks to the blood, sweat and tears of the Myntra staff, delivery personnel and customer care executives. 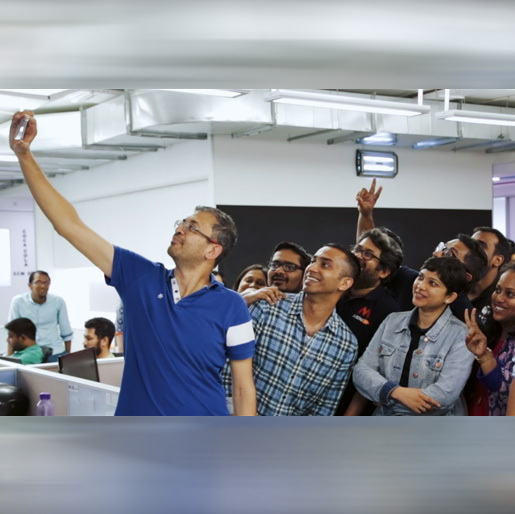 Myntra’s CEO, Ananth Narayanan, also credited the innovation team for developing key strategies that helped them penetrate the market and take hold of a substantial share of it. He commended the hard work of all the departments in Myntra, and credited them for their ability to complement each other and work efficiently towards a common goal. He said,” This year, like every other year, we’ve had some fabulous innovations, like Early Access, whether it’s our referral programme, or the personalized videos that we send out, all of these have been incredible innovations”. Here is what some of the department heads of Myntra had to say about their experiences of the event. “EORS is getting bigger and better for us, and it’s been amazing to go on this journey. This is my third End of Reason Sale, and every edition of this event has been totally amazing. There are ample attractions in Myntra’s End of Reason Sale which make it a highly anticipated event. Unbelievably low prices for premium goods and the option of choosing from a great number of worldwide brands are among the two most obvious reasons. However, there are several other features of this sale that make it noteworthy and ground-breaking. For instance, the End of Reason Sale is being used as a platform by Myntra to launch their new product – the Blink Go. The Blink Go is a smart watch, a digital wearable device that provides you with myriad information. While this is not the first time a wearable device is being launched in India, it is definitely the most stylish, by a country mile. The technical specifications aside, the Blink Go has a very distinct design that sets it apart from competition. The product is developed by Myntra’s Innovation Lab, and has state of the art technology that makes it a really handy device. Some of the standout features of the Blink Go include Activity Tracker, Heart Rate Monitor, a dedicated Sports Mode, and Colour Display. Additionally, the product is Water Resistant and has a very audible and legible notification system that can notify you of your achievements. You can also share your details on social media for your friends to see. Multi Tracker Support: This feature makes it platform agnostic, and you can connect your Blink Go to compatible devices. This makes it an excellent addition for those who are both fitness and technologically inclined. Leaderboards: The Blink Go has in itself a list of pre-loaded achievements and missions involving fitness tasks, and upon their completion, you can gauge your progress with other users of the device with the help of leaderboards, where you can go to check your points. Live Achievement Sharing: This allows you to share your statistics with your friends and engage in healthy competition with each other. Sleep and Other Tools: A lot of millennials encounter problems with their sleep. This is due to demanding working hours, an insubordinate time spent in travelling to and fro, lifestyle choices like gymnasiums, unhealthy eating habits, and most importantly, lack of proper planning. However, you can plan your sleep patterns efficiently with the Blink Go. One of the best features of this device is the sleep planner, which helps you set alarms and reminders for waking up and going to bed, respectively. By monitoring your heart rate, which is measurable through the device, and metabolism, you can effectively calculate how much rest your body needs, and set your Blink Go to remind you about your requisite sleep cycle. The Blink Go will be available during Myntra’s End of Reason Sale at an introductory price of Rs. 4199, and available in several eye-catching designs. Without any further ado, book your Blink Go wearable device right now and make the most of Myntra’s EORS. Catch up with the latest in the world of fashion in the Myntra Blog. Everybody loves shopping; it is almost therapeutic and something that makes you feel good instantly. However, like every awesome thing shopping too has its own down sides– like the long queues at the cash counters for example. What can be more tedious than that, right? But what if we told you that now you can ditch those boring queues, making your shopping a fast track process? Well, in this technologically advanced age that we live in everything is possible. And when there are tech based fashion platforms like Myntra, all your problems gets solved easily. Recently launched, Roadster Life Co.’s store is taking shopping to a whole new level. Taking forward their omnichannel strategy, the retail store has everything that will be available online. So, welcome to the speed shopping experience at the brand new Roadster store at Mantri Mall, Malleshwaram in Bangaluru. Equipped with the latest technology, the store is a ground breaking move in Indian retail industry. With the touch of a finger, get assistance to your every possible question or problem. There are RFID enabled digital screens at various points of the store. You can discuss the product feature including the images, washes, fabrics, suitability to body type, color match and availability of sizes and more. Apart from that now you can forget about waiting long in the queues killing all the joy of shopping. The checkout counter at eth Roadster Go store is the best part. You can literally finish the checkout and billing in less than 30 secs here. All you have to do is just place the product that you just bought and place it on the RFID tray that will capture the product details and display the bill on the screen instantly. You can pay by using your debit or credit card upon confirmation. Forget about scanning individual products or removing security tags from garments. The best part is that you can buy the products that you see online on the Myntra app or website at real time at the offline store. This is the second retail outlet of Roadster Life Co. with the first located at Indiranagar in Bangaluru. 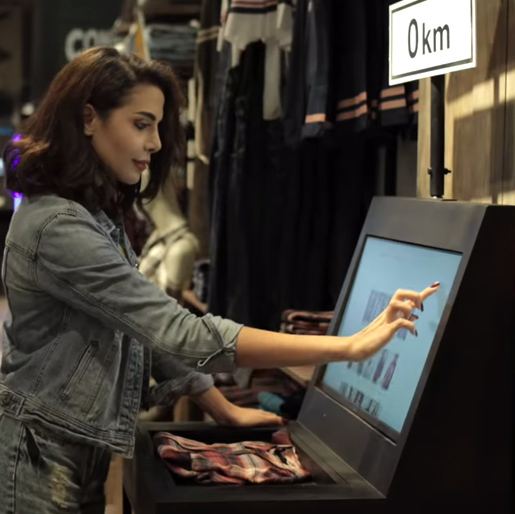 Following the footsteps of the first store, the new store is all rife with exciting tech innovations like touch controlled video wall, the unique purchasing mechanism called ‘Scan and Go’ and ‘Highway 360’. It will take you on a virtual journey. The incredibly delightful and extremely useful innovations, Roadster stores will revolutionize the way the shopping is done. 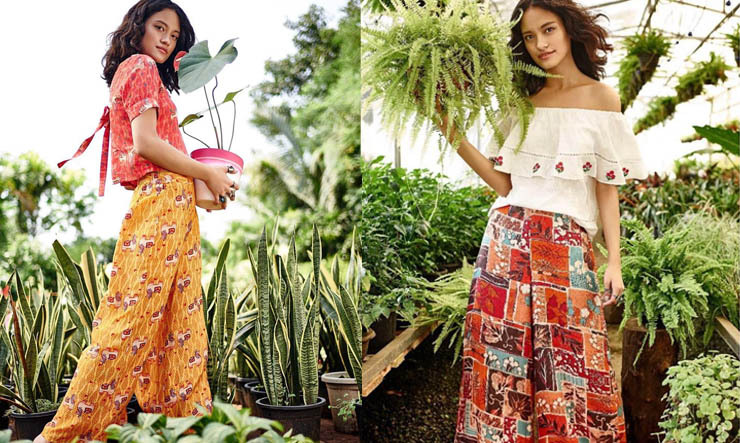 It is the only brand that is keeping pace with the new-age techs and ways starting from Myntra’s omnichannel strategy to adapting sustainable fashion among all other private labels in the company. So, what are you waiting for, go experience the technologically advanced way of shopping at the brand new Roadster store. And like we mentioned before that all good things have a down side, you can now enjoy the flawless experience of speed shopping with Roadster. Go be a part of the new age shopping! As the mercury level is shooting through the roof, summer beauty routine almost seems to be taking a back seat. And why wouldn’t it? The humidity in the air makes skin sticky and hair frizzy and a coat of makeup above that just sounds like a bad idea. But going bare faced all summer isn’t the solution now, is it? Summertime is not all bad when it comes to keeping up the beauty quotient. Thanks to some truly new and innovative beauty products, you can still look polished regardless of how hot the weather is. Get rid of all your heavy creams, full cover foundations and dark red lip colors and replace them with lightweight moisturizers, sun screens, bright hues of corals and peach for your lips, and you are ready to take on another sunny day. And because we truly don’t want you to look any less glamorous than the previous month, Myntra is coming back with its much awaited third edition of the ‘Myntra Beauty Edit’. So, get ready to stock up your cosmetic collection with summertime essentials, for you will not just get them at big discounts but also receive freebies on every purchase. After the incredibly successful editions held in December last year and March 2018, the event is ready to engross consumers once again on 29th and 30th of May. This time the event promises to be the largest one in the category yet. With over 10,000 products on offer to sweep you off your feet the festival will include makeup items, perfumes, and skin-care and hair-care products. There will also be men’s grooming products for the studs and bath and body from the leading global and domestic brands. Famous brands such as Wet & Wild, Australis, Absolute New York, Palladio, Issey Miyake and Clinique among others will be available in the Beauty Edit. It is once again in association with Maybelline New York that makes the event even more awesome. Some 40 brand launches are also going to take place including Avene, Wet n Wild, WOW skin science, Fab India, Absolute New York, O3+, VLCC, Leading Korean beauty brand – It’s Skin, Cetaphil, SNP (Korean sheet mask), which is exclusive to Myntra and more. So, while Maybelline will be giving out the most lucrative offers, other favourite brands such as L’Oreal, Lakmé, Veet, Philips, Biotique, Neutrogena, The Face Shop and over 250 other brands will also sweep you off your feet with massive discounts. And that’s not all, on all your purchases you are certain to receive gifts which will include fashionable stud earrings. Shopping for your favourite cosmetics and beauty products have never been this fun and extravagant. So, scream out to the scorching summers to bring it on and you shine on like a crazy diamond! Don’t forget to log on to your Myntra App to make the best of the incredible offers. And not just for yourself, this is also the best time to look for the perfect gifts for your girl gang. The International Indian Film Academy (IIFA), although a film awards event, has almost always had a fashion show as a part of it, ever since it made its debut in year 2009. Fashion designers like Manav Gangwani, Rocky S, Anamika Khanna, Falguni Shane Peacock, and Farah Ali Khan, not to mention Vikram Phadnis, who has been involved more than once, have showcased their latest fashion designs at the prestigious event. One might as well as ask: What’s the connect between fashion and Bollywood? However, the truth is their connection is almost symbiotic, one unable to do without the other. Bollywood has always inspired fashion – with a new trend of clothes being portrayed in the movies in each generation, which is soon imitated by an adoring movie-going public across the country! Fashion on the other hand, has given Bollywood stars something totally new to wear and showcase and have an impact otherwise impossible. With India’s leading online fashion portal Myntra being named IIFA 2017’s Style Partner at the film awards night in New York – Times Square, no less – how could it not do a fashion show? It did that, that too, with a difference, as has been its forte, always. Thus, Myntra has two feathers in its cap: Not only has it been chosen as the official style partner for this year’s edition of IIFA being held in New York’s iconic Times Square, it is also going to stage a fashion show during the event. The Big Apple is home to many fashion shows, including its own annual show, The New York Fashion Week. But when Myntra, the style partner for IIFA this year and more, unveils its fashion show on July 13 during IIFA, it will be a fashion show with a difference. The difference lay in not making models cat-walk on the ramp, but to “unramp” the fashion show, altogether, and making its models stroll on stage in groups, in a fun and informal way. The show stoppers were Bollywood actors Dia Mirza and Tapsee Pannu – who showed that there were many new and imaginative ways to adorn a sari, the Indian six-yard wonder. Other clothes portrayed on the ramp were a mix-and-match of clothes and accessories available on Myntra from its Gen Next collection – comprising the latest quirky, urban, street fashion and stylish wear. For those watching the IIFA awards back home, had no reason to feel deprived from not being able to have a slice of the cake. They could simply come online and shop in realtime for the very same clothes which were being showcased on the catwalk. Later, there was even a green carpet interaction between the Bollywood celebrities and Myntra customers. One could say, the awards night was one of the best of fashion and the best of Bollywood coming together: Myntra representing the best of fashion and IIFA bringing the best of Bollywood under one roof. 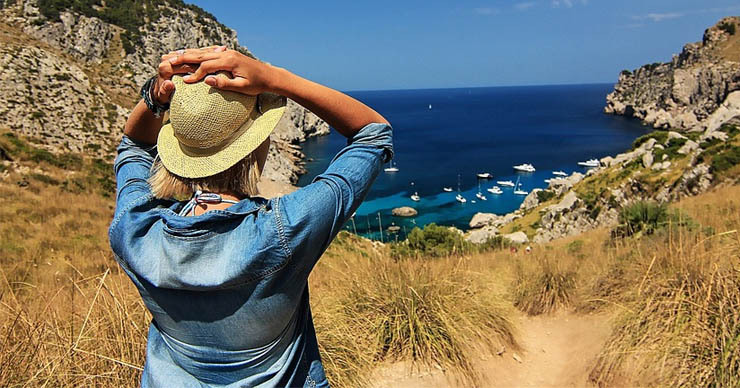 Contrary to popular belief, the blue denim that has become inseparable from modern life, be it high-fashion or comfortable casual wear, was not born in America, but has its roots in Nimes, in the southern France region of Languedoc-Roussillon. Although Levi Strauss is credited with having created the first blue denim trousers, as well as for coining the name “jeans” in the mid-19th century, the material used by him to stitch the very first “jeans” was a tough cotton fabric known as serge de Nimes, which was dyed blue because indigo was the easiest colour to use. The year was 1853 and Levi Strauss, a 24-year-old German immigrant, had just left New York for San Francisco because of the Gold Rush happening in California. He opened a dry goods shop there. One day, a customer – who was a prospector in the gold mines – came in to check out his goods. When all he saw was some rough canvas-like cloth for making tents and wagon covers, the customer retorted, “You should have brought pants!”, adding that trousers didn’t last long enough in the mines. Levi decided to use the blue cloth to make rough overalls, which he named “Jeans” from the word “genoa”, the name of the blue dye, and called the material “denim” from the phrase “serge de-Nimes”. Levi Strauss realised he had struck a gold mine himself after the new Denim Jeans created by him became a huge hit with prospectors as well as miners. Soon, their fame spread across America. While the denim as a fabric remains extremely popular in jeans, jackets, belts, and what not, the Denim Shirt, in particular, is back under the spotlight. In fact, it has such a versatile look that it offers both men and women many different ways of wearing it. According to the fashion manual Idleman, there are two main ways for a man to wear a Denim Shirt: heavy or light. For those into oversized, casual cool, one can pair the Denim Shirt with a jersey, a jacket and hiking boots, to create the rugged all-male outdoor look. For those preferring a more subtle look, a slim-fit Denim Shirt can be worn in a casual or tailored look: wear it unbuttoned with joggers or dress it up with a tie and blazer. Choose a light blue denim shirt or one with faded wash. A washed out denim works with all skin tones, thankfully, so one always looks fabulous wearing one of these. The Refinery, into personal style coaching, has not one but 21 stylish ways for Women to wear the Denim Shirt. To begin with, it puts the Denim Shirt on a pedestal by calling it a “classic piece you must own”, adding however, that despite its versatility, the debate about what to wear with it, makes it not worn as much. So, it suggests 21 “bottoms” to pair it with. Myntra brings the Denim Shirt from Forever 21 (solid casual shirt), ONLY (printed, navy blue, faded, washed, round neck, even polka dot), and Vera Moda (regular fit and washed casual). So, one can sport the best of not just American but even European fashion right here in India. Interestingly, Forever 21 was among the first to offer a distressed blue Denim Shirt as well as long Denim Shirt. Gigi Hadid was spotted early this year at the London Fashion Week, promoting the TOMMY X GIGI Spring ’17 collection. It was the second time that the supermodel was promoting the eclectic American fashion designer’s clothes, which has her creative inputs as well. So, how did the two iconic personalities collaborate? It was in January 2016 that Tommy Hilfiger announced Gigi Hadid’s name as the brand ambassador for his Women’s Wear for the Fall Collection of 2016, as part of the brand’s plan to build on a new vision and plan a strategic expansion of its global Women’s business. The first collection featured women’s sportswear, footwear and accessories, including watches and sunglasses, as well as a new fragrance, reflective of Hadid’s unique take on modern style, fused with Hilfiger’s signature “classic American cool” heritage. Gigi Hadid, who has appeared on the covers of Vogue, W, Harper’s Bazaar, Elle, TeenVogue, Numéro, Schön!, and CR Fashion Book, amongst others, joins a list of influential women who have partnered with the Tommy Hilfiger brand. These included Beyoncé, Kate Hudson, Charlotte Gainsbourg, Naomi Campbell, Naomi Watts and Alexa Chung. At the time, Myntra fans were thrilled to discover that they could get their hands on the TOMMY X GIGI Collection on Myntra as soon as it was unveiled on the ramp in LA! What’s more, one can still get the unique TOMMY X GIGI style on Myntra. What sets Gigi apart from other models on the runway of the past decade is her non-size zero shape. That, combined with the comfortable looks has won her a huge following. Her managers have not failed to notice how to capitalize on her 34.3 million followers on Instagram, since today’s world is ruled by the social media. So, what happened next was Gigi’s transformation from a supermodel to one that ruled the social media too. It was a win-win situation for all the brands she endorsed as she could easily promote them on those channels. Hilfiger recalls, “When she hit the runway, the fans went crazy, they wanted to buy everything she was wearing, and we talked at length about how we could use Gigi as more than a model. I think a designer has never partnered with a model before and allowed the model to have a serious hand in designing the collection.” Yes, indeed, it was a first and disruptive, at that. The TOMMY X GIGI capsule collection got sold at tremendous speed, online as well as offline. That success was replicated in a second collection, which boasted denims, bomber jackets, dresses, skirts, crop-tops and T-shirts.